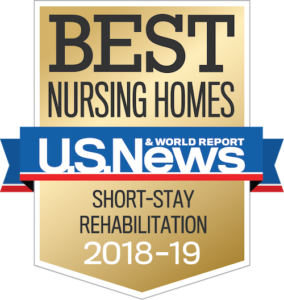 Why should you choose Lutheran Home and Harwood Place for your loved one’s retirement? I think my parent might be ready for a move to a senior living community. How do I have that conversation? Making the decision to move into independent or assisted living can be challenging, and your parent, parents or loved one may not feel that they are ready. However, as their family member, you may be in a unique position to see when they may start needing extra help around the house, memory care services, or more consistent support. The first step is to approach your parent or loved one with your concerns and have an open and honest conversation about how you both are feeling. Be sensitive and listen to their needs and concerns, and make sure to express how you are feeling and why. The decision to move into a community like Harwood Place does not need to happen all at once. Take a virtual tour and check out our photo gallery, then fill out our form with questions or to schedule a tour. Once your loved one experiences a taste of the full and flexible lifestyle offered at Harwood Place, we hope they (and you) will feel excited about the next chapter of their lives. What will life be like for them at Harwood Place? When you first come visit Harwood Place, you will immediately notice the beauty of our grounds: Landscaping, outdoor gazebo, lush courtyard, walking paths, and even individual garden plots available for gardeners. Step into our welcoming lobby and enjoy the warmth of a real fireplace. Our reception area is secured and guest rooms are available by reservation. We are proud to offer a private environment with plenty of opportunities for socialization, or for your parent or loved one to enjoy their alone time. We are staffed 24 hours per day, seven days per week, and our staff are dedicated to our clients’ wellness, comfort, and safety. Residents can enjoy the many amenities available daily, including a robust events calendar, wellness center and clinic, fitness room, game room, library, restaurant-style dining, beauty/barber shop, and even on-site banking services! As a safe and convenient alternative to driving, door-to-door transportation is available to take your parent or loved one to and from medical appointments, restaurants, entertainment venues, and more! We also provide complimentary, twice-weekly trips to local grocery stores and pharmacies. How will Harwood Place accommodate my parent if their health needs change? 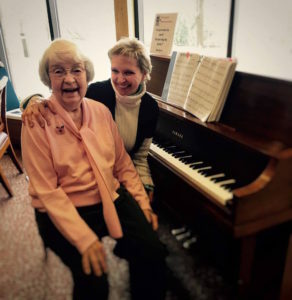 We realize that health and wellness needs are ever-changing, and here at Lutheran Home and Harwood Place, our broad range of services have been developed to fit a broad range of unique needs. Residents of our Independent Living community can take advantage of regular wellness programming, spiritual services, and a robust activities calendar. As health needs change, customized care is available to ensure your parent or loved one can stay in their home as long as they like. Each resident of Harwood Places Assisted Living community will have a personalized plan of care developed for them when they move in. This is done through an individualized assessment with the future resident and their families and conducted by an experienced nurse. From there, we offer custom healthcare services in addition to the individualized plan of care, including 24-hour access to certified nursing assistants and on-call licensed nurses, emergency response, medical coordination with your doctors, medication management, nutrition coaching, and assistance with personal care and household tasks.